If you have a product code for your product and your computer is connected to the Internet, you can instantly activate your product using License Wizard. NOTE: Internet activation requires a direct connection to the Internet. Make sure you are not connected through a proxy and that your firewall or network is not configured to block access to the Internet. 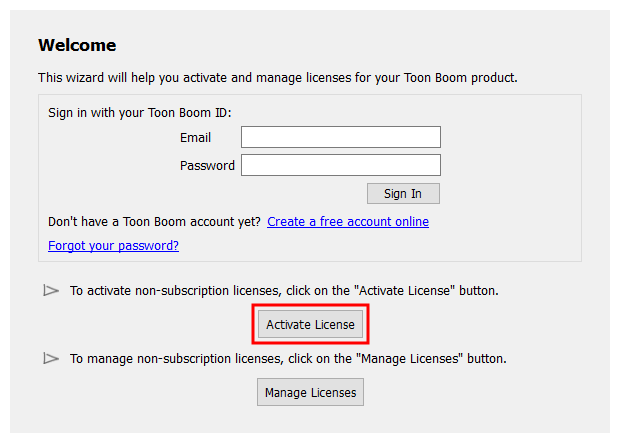 Otherwise, see Activating a Local License via Email. 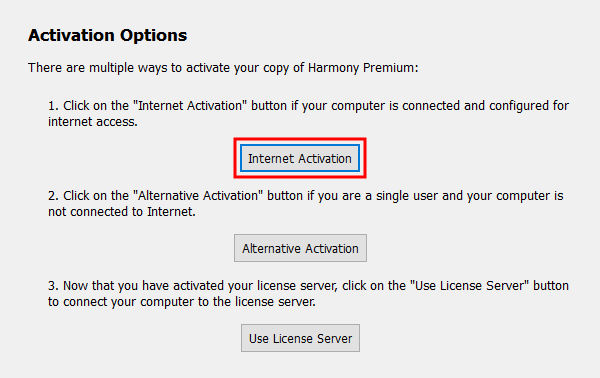 The Internet Activation Options screen appears. The Internet Activation - Single User screen appears. In the Product Code field, enter the product code you received for the product you purchased. 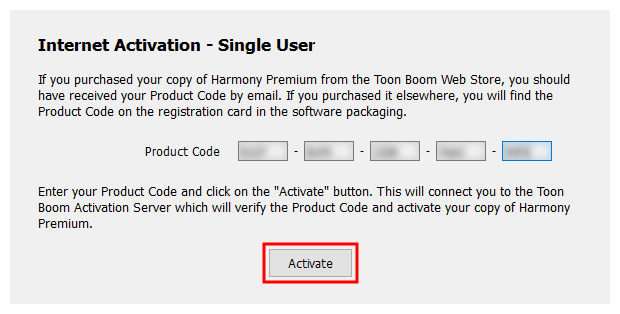 Click on Activate, then wait for the activation server to validate your product code. 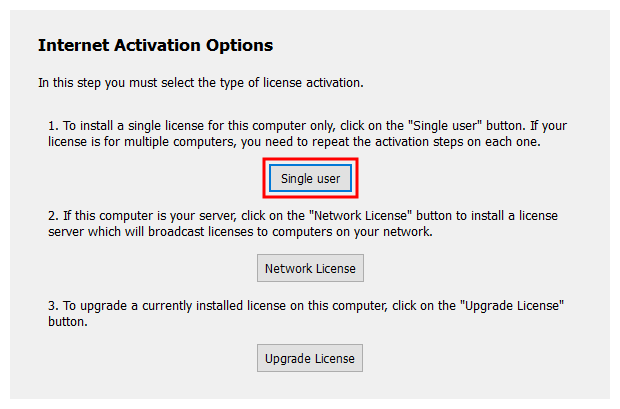 NOTE: To install your product on another computer, you must first return your license—see Returning a Local License via Internet. 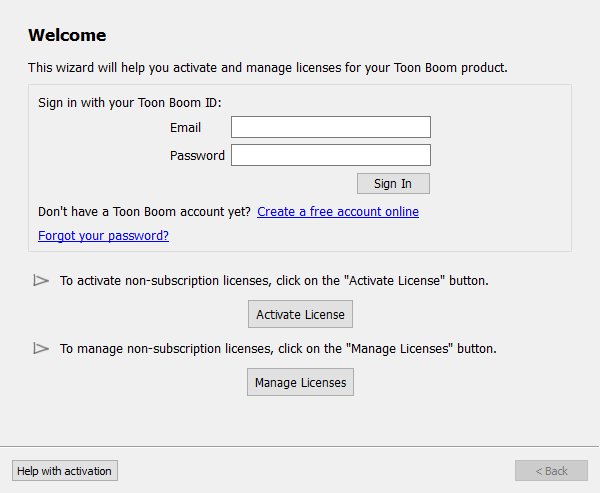 How do I transfer a Toon Boom software to another computer?